Brutus was born on 24-01-2010 and arrived at the sanctuary on 06-04-2010. Brutus was donated to the sanctuary, where he will remain for life and not be used for breeding. We cannot disclose any information about his origin at this time as such disclosure may affect plans to relocate other lions to our sanctuary. White lions are technically extinct in the wild. 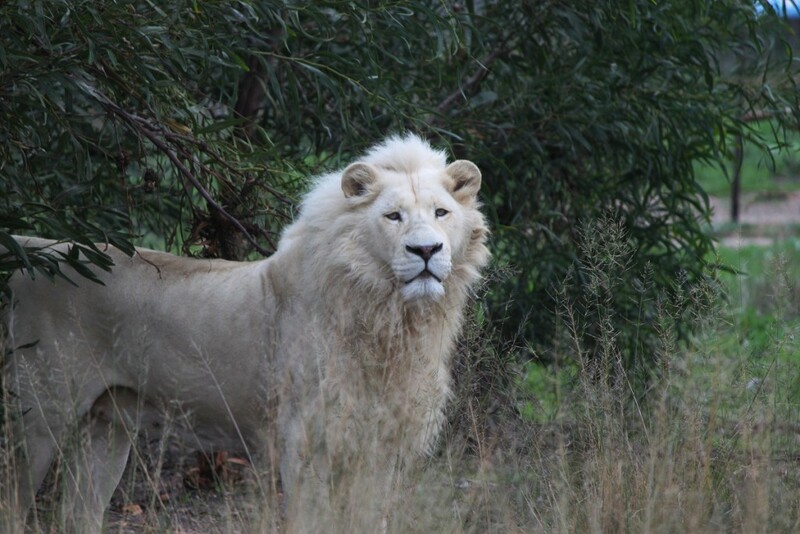 White lions are not albinos, but rather a genetic rarity. White lions have been ruthlessly exploited by the captive breeding industry and intensively inbred to produce victims for canned hunting.